Need it Embroidered or Screen Printed? That's right...wholesale hats with the ease of retail. Due to the benefits of internet commerce, you can purchase in bulk from us Sales Tax Free! 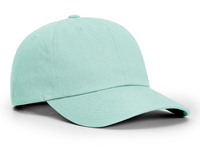 CAPwholesalers.com is your online source for wholesale caps, blank caps, baseball caps, flexfit caps and customizable Tee shirts at the lowest wholesale prices on the internet! For customization, adding your logo to the cap or shirt, please visit our other site: www.customizedwear.com To find out what is new with either Capwholesalers or Customizedwear read our blog.